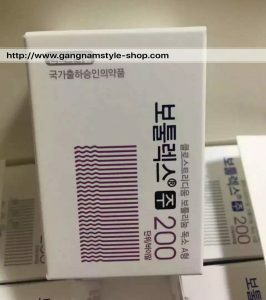 Botulax 200U is a new generation of Botulinum Toxin Type A product with high purity and better effect. Botulax is develop over dozen purification processes such as sterilization, impurity removal, nucleic acid removal, heat removal, enzymatic hydrolysis, isoelectric point, salting out, dialysis, ultrafiltration, column chromatography, repeated recrystallization, etc. A single pure effective protein, without any impurities, so the product is high in purity, easy to dissolve, and the solution is clear and transparent after dissolution. 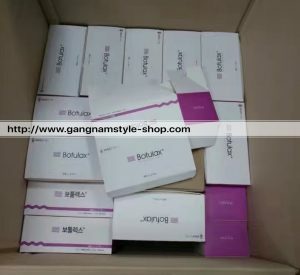 Botulax is strictly certified by Korean KDA and GMP. Botulax is uniquely formulated with good product stability. The biological wrinkle protectant, stabilizer and other auxiliary materials are unique, and have a good protective effect on the product. After the control experiment, the stability of Botulax is the best among the similar products in the world, and even it is placed at room temperature for over one week, the activity is basically not falling. Botulax are safe and do not produce allergic reactions. There is no risk of viruses in blood products, and there is no disadvantage that macromolecular animal proteins are prone to allergic reactions. In addition, it is easily absorbed by the muscles and has a good nutritional effect on the injection site. This entry was posted in Botulax 200U, Hugel and tagged Botulax, Botulax 200U, Hugel.